Starting in May 2018, a Fraxinus excelsior L. (common ash or European ash) tree on the Walton Hall campus of the Open University (Milton Keynes, United Kingdom) has been monitored. 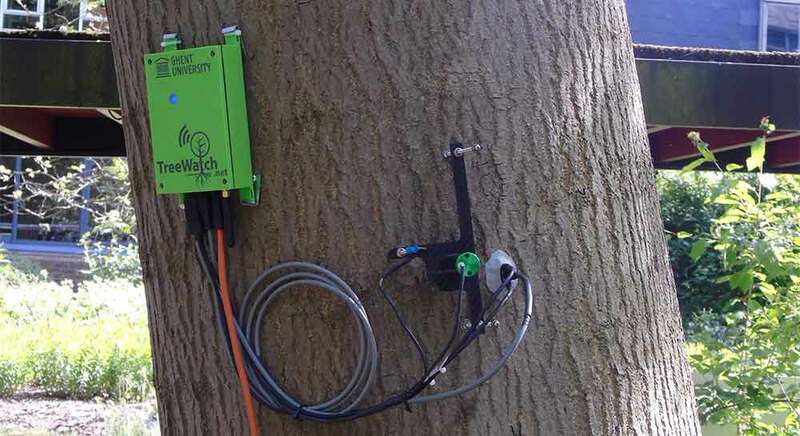 Sap flow is monitored using the Sapflow+ system developed by the Laboratory of Plant Ecology (University of Ghent) and trunk diameter changes using a Natkon dendrometer. Climate data comes from a meteorological station on campus. The Open University is a distance-education institute, and the data from our tree is also used for teaching purposes within the School of Environment, Earth and Ecosystem Sciences, in association with the Open University’s award-winning OpenSTEM Labs initiative, which gives learners real-time access to an ‘Internet of Laboratory Things’. The OpenSTEM Labs connects to real and authentic instrumentation, data and equipment for practical enquiries over the internet, where distance is no longer a barrier and where access can be available 24 hours a day. European ash is the third most common tree in Britain, and has a distribution the stretches across Europe from the Arctic Circle to northern Spain and Turkey. It grows best on deep, fertile and well-drained soils, and is often associated with alkaline soils. 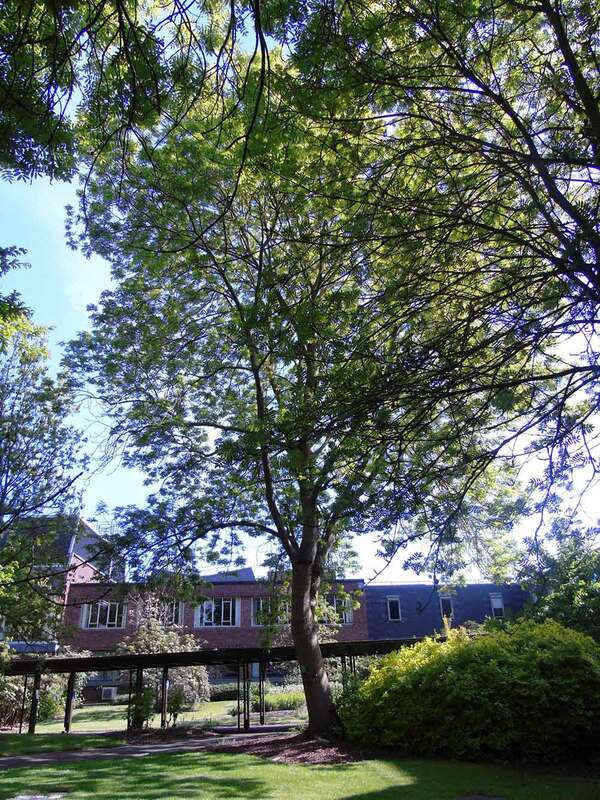 Mature trees can reach a height of up to 35 m and an age of 250 years, although some may live as long as 400 years. The bark is pale brown to grey, which fissures as the tree ages. Ash is wind pollinated and dioecious, but may also have male and female flowers on different branches on the same tree. It is deciduous, but the leaves are still green when they fall. The wood is strong and is used to make handles for tools and sports equipment, as well as for furniture, and was traditionally coppiced for firewood. It is currently being affected by Ash dieback, a serious disease caused by the fungus Hymenoscyphus fraxineus that is killing trees across Europe. Description of the location of the tree. The satellite image below shows the exact location of the monitored tree in Milton Keynes of the Open University (United Kingdom). The dynamic chart below displays sap flow and diameter variation measurements in real time. Using the 'zoom' buttons it is possible to select a different time range. A specific time range can also be defined. Furthermore data ranges can be selected by simple clicking and dragging your cursor along the chart horizontally.